As we may all know, the current generation we are in have smartphones in a whole different level. Gone are the days where it's just for texts and calls. It has extended to a couple of more purposes, with internet and social media browsing as the most notable. In today’s fast-paced world, thousands of mobile and desktop applications are being released to cater the needs and wants of the public. Because easy communication is important for everyone, instant-messaging apps are becoming more and more in-demand. Today, these apps are known as one of the premier mobile software in the whole World Wide Web. We can’t deny how influential our smartphones has become. It has taken over our lives. It doesn’t even matter if we’re at office or at home, either a smartphone or a PC is at our face. With that fact, smart businessmen should have their thinking caps on. There’s always a talk of being different. Now is a great time for that. Here now are some reasons on why you should give your business its own mobile app. In this day and age, entering the mobile app business can be very hard. It’s an industry that’s overflowing of competitors. There’s a new type of app in the market every day, making the “margin of new ideas” thinner than it already is. Let’s not also forget that most of those competitors have been established for years. They have an edge on a dozen of important aspects: money, popularity, resources, etc. The only thing left for the newbies is to maximize the things they could do with the ideas they have. But how? What could these things be? Let’s explore on the topic. Mobile Application –or referred to as an “app” – is a sort of application software that is designed to run a mobile device, such as smartphone or tablet computer. Frequently, it provides users with similar services as what PCs have and done. Today, more people access the Internet through mobile phones than through personal computers. Commonly, mobile phones are nigh on corporate people because they can use it anytime and anywhere for their business. With this, web developers cultivate mobile application today with quality usability, informative features, and responsive designs that can be the reason why it trends today. Mobile application development will never be possible without the help of online stores or app stores in terms of distributing a specific application. It provides easy delivery to mobile users wherein they can choose from different categories ranging from music apps, games, movies, books, etc. Application stores serves as an online marketplace that distributes applications according to its availability in different devices. The world is rapidly changing are you ready for the future? In the fast changing world, people get more and more hook to what we call mobile surfing. It is a technological term pertaining to the attitude of Internet user checking out different websites using mobile devices. According to Gartner, an information technology research and advisory company, mobile phones will overtake PCs as the most common web access device worldwide this year. Users are prepared in the typical way of accessing websites. 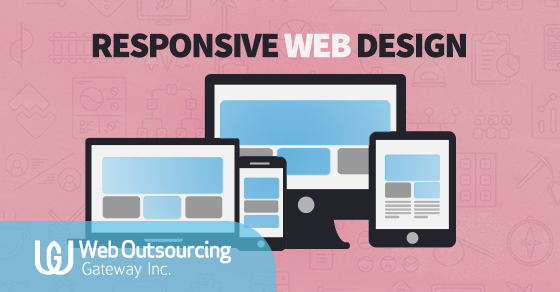 That is why many businesses are adapting to mobile web development. Thus, a successful mobile websites should undergo to a process of testing. Developers use not only word of mouth, but most especially emulators or simulators, when it comes to testing developed mobile websites.